Last week, librarian Nancy Chesik retired after 24 years at UDM. Nancy has worked with the College of Business for most of her time here and has been prodigious in preparing quality instructional materials. She has been a source of creative ideas in her assigned areas and in marketing the libraries. Her creativity will be missed. We wish her well in her retirement. 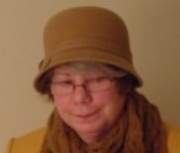 As a tribute to Nancy, we are reprising her last blog entry from October 2014. In the 1967 movie The Graduate Mr. McGuire says to the Dustin Hoffman’s character, a recent college graduate, “I want to say one word Benjamin, just one word … It’s plastics”. Today, he might well have said “Two words Benjamin, business information.” Michael Bloomberg, the former Mayor of New York and founder of Bloomberg, a private company that specialized in data, media, software analytics, and stock trading platforms (terminals) sells information, data. Bloomberg’s billions are built on information, business information. Bloomberg supplies business, financial and economic news. It’s comes as no surprise that they collect data on global stocks, currency, companies, but what may be a little surprising is they also supply data on sports: baseball, soccer, etc. Bloomberg collects data on baseball. 24 of the 27 major league teams subscribe to the data. Baseball managers use the data: the data will tell you of which four pitches Justin Verlander throws: fastball, curveball, change up, or slider he most likely to throw as a first pitch against a given player. Like stock traders and hedge funds managers that use data to improve the odds in the market, baseball managers use the data to improve the odds of winning games. Not long ago sixty minutes did a profile of a MBA student from Notre Dame University, who successfully gambles in the fantasy baseball leagues using algorithms he developed with sports data. This fall you will see a number of books added to our collection on sabermetrics: this is the term for the empirical analysis of baseball, especially baseball statistics that measure in-game activity. Some of the most interesting reading comes directly from the pages of the Wall Street Journal. There are many recognizable plots in thrillers that seem if they are scooped directly from the WSJ. Some business books can read like thrillers, and some are just plain fascinating. The Quants: Scott Patterson. In March 2006, the world’s richest men sipped champagne in an opulent Ne w York hotel. They were preparing to compete in a poker tournament with million-dollar stakes. At the card table that night was Peter Muller, who managed a fabulously successful hedge fund called PDT. With him was Ken Griffin, who was the tough-as-nails head of Citadel Investment Group. There, too, were Cliff Asness, the sharp-tongued, mercurial founder of the hedge fund AQR Capital Management, and Boaz Weinstein, chess “life master” and king of the credit-default swap. Muller, Griffin, Asness, and Weinstein were among the best and brightest of a new breed, the quants. Over the past twenty years, this species of math whiz had usurped the testosterone-fueled, kill-or-be-killed risk takers who’d long been the alpha males of the world’s largest casino. The quants believed that a cocktail of differential calculus, quantum physics, and advanced geometry held the key to reaping riches from the financial markets. And they helped create a digitized money-trading machine that could shift billions around the globe with the click of a mouse. Few realized that night, though, that in creating this extraordinary system, men like Muller, Griffin, Asness, and Weinstein had sown the seeds for history’s greatest financial disaster. 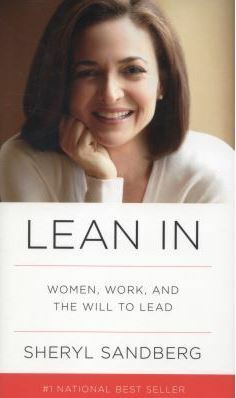 Lean In: Women, Work, and the Will to Lead by Sheryl Sandberg. The vast majority of leadership positions in government and industry. This means that women’s voices are still not heard equally in the decisions that most affect our lives. In Lean In, Sheryl Sandberg examines why women’s progress in achieving leadership roles has stalled, explains the root causes, and offers compelling, commonsense solutions that can empower women to achieve their full potential. Sandberg is the chief operating officer of Facebook and is ranked on Fortune ‘s list of the 50 Most Powerful Women in Business and as one of Time ‘s 100 Most Influential People in the World. In 2010, she gave an electrifying TED Talk in which she described how women unintentionally hold themselves back in their careers. Her talk, which became a phenomenon and has been viewed more than two million times, encouraged women to “sit at the table,” seek challenges, take risks, and pursue their goals with gusto. In Lean In, Sandberg digs deeper into these issues, combining personal anecdotes, hard data, and compelling research to cut through the layers of ambiguity and bias surrounding the lives and choices of working women. She recounts her own decisions, mistakes, and daily struggles to make the right choices for herself, her career, and her family. She provides practical advice on negotiation techniques, mentorship, and building a satisfying career, urging women to set boundaries and to abandon the myth of “having it all.” She describes specific steps women can take to combine professional achievement with personal fulfillment and demonstrates how men can benefit by supporting women in the workplace and at home. Written with both humor and wisdom, Sandberg’s book is an inspiring call to action and a blueprint for individual growth. Lean In is destined to change the conversation from what women can’t do to what they can. Flash Boys: A Wall Street Revolt by Michael Lewis, Flash Boys is about a small group of Wall Street guys who figure out that the U.S. stock market has been rigged for the benefit of insiders and that, post-financial crisis, the markets have become not more free but less, and more controlled by the big Wall Street banks. Working at different firms, they come to this realization separately; but after they discover one another, the flash boys band together and set out to reform the financial markets. This they do by creating an exchange in which high-frequency trading–source of the most intractable problems–will have no advantage whatsoever.The characters in Flash Boys are fabulous, each completely different from what you think of when you think “Wall Street guy.” Several have walked away from jobs in the financial sector that paid them millions of dollars a year. From their new vantage point they investigate the big banks, the world’s stock exchanges, and high-frequency trading firms as they have never been investigated, and expose the many strange new ways that Wall Street generates profits.The light that Lewis shines into the darkest corners of the financial world may not be good for your blood pressure, because if you have any contact with the market, even a retirement account, this story is happening to you. But in the end, Flash Boys is an uplifting read. Here are people who have somehow preserved a moral sense in an environment where you don’t get paid for that; they have perceived an institutionalized injustice and are willing to go to war to fix it. Can you believe we have added over 400 new entertainment movies/TV programs DVDs to our collection this past year? Did you know you can check out the movies for a week for free? 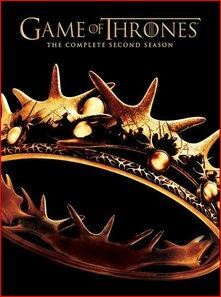 Game of Thrones: The complete second season: From the scheming South and the savage Eastern lands, to the frozen North and the ancient wall that protects the realm from the mysterious darkness beyond, the powerful families of the Seven Kingdoms are locked in a battle for the Iron Throne. 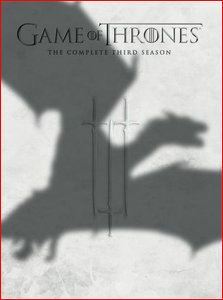 Game of Thrones: The Complete third season: In the third season of the HBO hit drama series Game of Thrones, the Lannisters barely hold on to the throne after a savage naval onslaught from Stannis Baratheon, while stirrings in the north threaten to alter the overall balance of power. Robb Stark, King of the North, faces major calamity in his efforts to build on his victories over the Lannisters while beyond the Wall, Mance Rayder and his huge army of wildings continue their inexorable march south. Across the Narrow Sea, Daenerys Targaryen – Reunited with her three fast-maturing dragons attempts to raise an army to sail with her from Essos, in hopes of eventually claiming the Iron Throne. In Season 3 of this original series based on George R.R. Martin’s best selling books, the battling families of Westeros continue to clash as bonds are strained, loyalities are tested, and cruel fates are met. 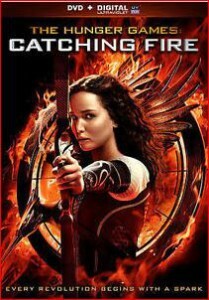 The Hunger Games: Catching Fire Katniss Everdeen has returned home safe after winning the 74th Annual Hunger Games along with fellow tribute Peeta Mellark. winning means that they must turn around and leave their family and close friends, embarking on a Victor’s Tour of the districts. Along the way Katniss senses that a rebellion is simmering, but hte Capitol is still very much in control as President Snow Prepares the 75th Annual Hunger Games, The Quarter Quell, and announces a competition that could change Panem forever. The Twilight Saga: Breaking Dawn: Part 1 In the highly anticipated fourth installment of the Twilight Saga, a marriage, a honeymoon, and the birth of a child bring unforeseen and shocking developments for Bella and Edward and those they love, including new complications with young werewolf Jacob Black. The Twilight Saga: Breaking Dawn: Part 2 After the birth of Renesmee, the Cullens gather other vampire clans to protect the child from a false allegation that puts the family in front of the Volturi. If DVDs simply aren’t your style you can search new materials by using budget codes: acq2013mgt for the management code. You’ll see new materials, books, DVDs purchased for management. I bet you can figure out some of the other codes. Go ahead check it out, and check out the light entertainment. It is sometimes hard for UDM students to make time to visit the library when they are job hunting. We have a solution! eBooks! Available to you 24/7 anywhere your have internet access. You can find books through our library catalog or in the eBooks databases. You can go to the databases and sign in, and use ebrary database or eBook Collection (EBSCOHost database). You can search for terms likes resumes, cover letters or employment interviewing. There is even a database Career and Job Accelerator that will help you write resumes and cover letters for specific careers, as well as live job listings. So if it is 3:00 am, and you have until 9:00 am to prepare for tough answers to tough questions you are expecting in tomorrow’s interview, we’ve got you covered 24/7. 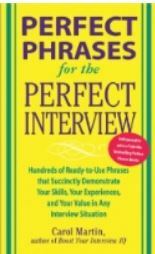 Tips on words to avoid and on how you can convince a potential employer that you are perfect for the job” amazon.com You must login to the eBook Collection (EBSCOhost) database to access this book from off campus. In 101 Great Resumes, you will find the resume format that will work wonders for you, one that can showcase your uni que background, situtation and career goals and help you land your dream job. It features resumes tailored ot the individual situtations, challenges, and aspirations of today’s job seekers. 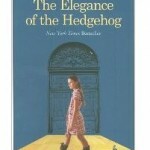 This book can be found in the ebrary database. 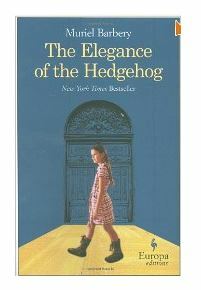 You must login to the ebrary database to access this book from off campus. Tyler’s Guide to Healthcare Executive Job Search by J. Larry Tyler. “Thirty plus years of retained executive search at the C-level and more than 3500 personal interviews have given J. Larry Tyler has a unique perspective on how to change jobs in healthcare. This fourth edition of Tyler’s Guide takes you from the beginning to the end of the job change process. Resume preparation, cover letters, networking, and interviews are handled in depth. Tyler intersperses his commentary with real-life examples of executives who have followed his advice and advanced their careers. This edition has been updated with current practices and trends that will advance the reader to the front of the line in the competitive employment marketplace.” amazon.com You must login to the ebrary database to access this book from off campus. “Terhune and Hays leads students through content designed to help students set themselves up for success, without focusing on grades or papers. The 11 steps include tips about how students can become experts in their fields, build their brand, get involved in and outside the classroom, allow for wiggle room, network, follow the 75/25 rule (75% thinking, 25% doing) and use new media, such as social networking and blogging, to launch their career. Any student looking for that connection from college to getting to their dream career needs to read Land Your Dream Career. Terhune and Hays make it known that landing a good job is not impossible!” amazon.com You must login to the ebrary database to access this book from off campus. Are you planning a long drive this summer or planning to work on a project? How about taking an audiobook along for company, or an interesting story to listen to while you are working on your projects? McNichols Library has over 250 audiobooks that are brilliant, inspiring, funny, exciting, enjoyable, mysterious, and profound. 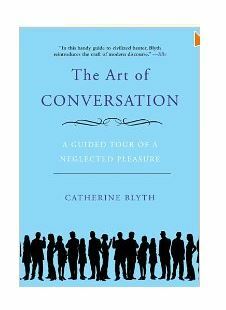 Come discover a wonderful read you can listen to. 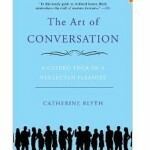 To see a complete list of the over 250 audiobooks use the keyword search in the catalog and type audiobook cd. The CDs are kept at the Check Out & Customer Service Desk. Have a wonderful summer and happy listening! MOOCs, (pronounced mooo-ks), Massive Open Online Courses are free courses taught online by a number of universities: Harvard, MIT, Stanford, University of Michigan, University of Pennsylvania, and many others. The courses range in subject from chemistry, physics, programming, computer science, business, history, political science, philosophy, Nordic film studies, and too many subjects to fully mention here. Classes have lectures, some both audio and webcasts, they may include written assignments, online discussions, quizzes, and written assignments often graded by other students using rubrics. Courses may offer a certificate of completion.